The Chair of the Institute of Obstetricians and Gynaecologists has said members would like to see a national coordinator appointed in the Health Service Executive to oversee the country's abortion services. The institute held an Extraordinary General Meeting last night to discuss a motion regarding risk to safety of patients due to inadequate preparation regarding the implementation of abortion services. 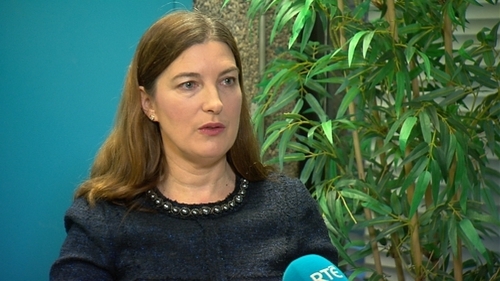 Speaking on RTÉ’s Morning Ireland, Dr Cliona Murphy said it is the view of a lot of members that the service has been introduced too quickly, and a more phased roll-out would be better. She said Dr Peter Boylan has been an adviser, but has no operational accountability on the ground. She added that there was a very short lead-in period for staff and hospitals to adapt. Dr Murphy said that while doctors and other medical staff are entitled to have conscientious objections to providing abortions, it is proving a difficulty in some hospitals and putting pressure on other staff. She said that maternity and obstetric care involved a multi-disciplinary team and needs nurses, midwives and others to take part in the service. However, Dr Murphy said those objecting are not obstructing planning for the service. She said staff support on the ground is good and people are willing to train and work to get the service up and running. She added that women in crisis are better off than they were two months ago.